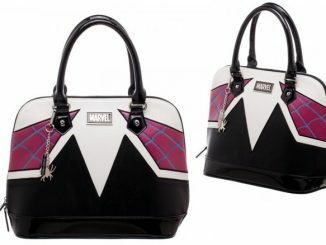 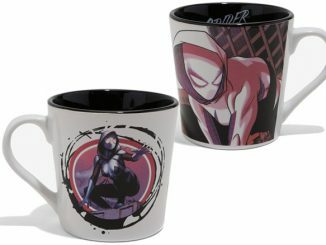 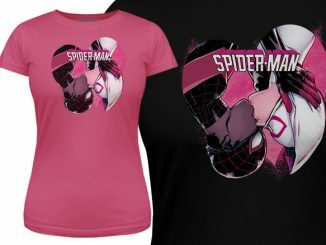 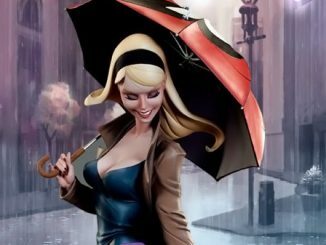 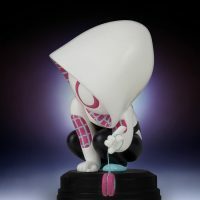 Gwen Stacy’s web-slinging alter-ego takes a break from fighting crime with the Spider-Man Animated Spider-Gwen Statue. 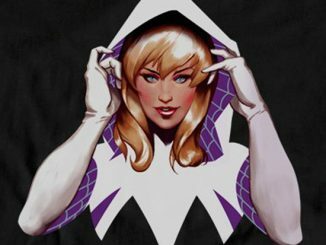 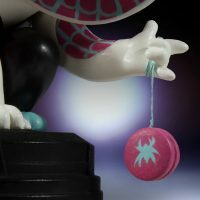 When she’s not performing in a band, hiding her true identity from her police captain father, or feeling guilty about her Peter Parker’s fate, Spider-Gwen just hangs out on rooftop chimneys, chilling with a yo-yo. 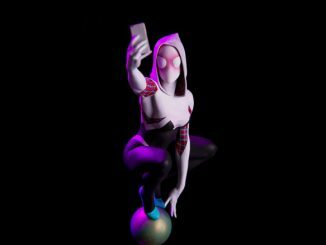 At least that’s one idea of what she does with her free time. 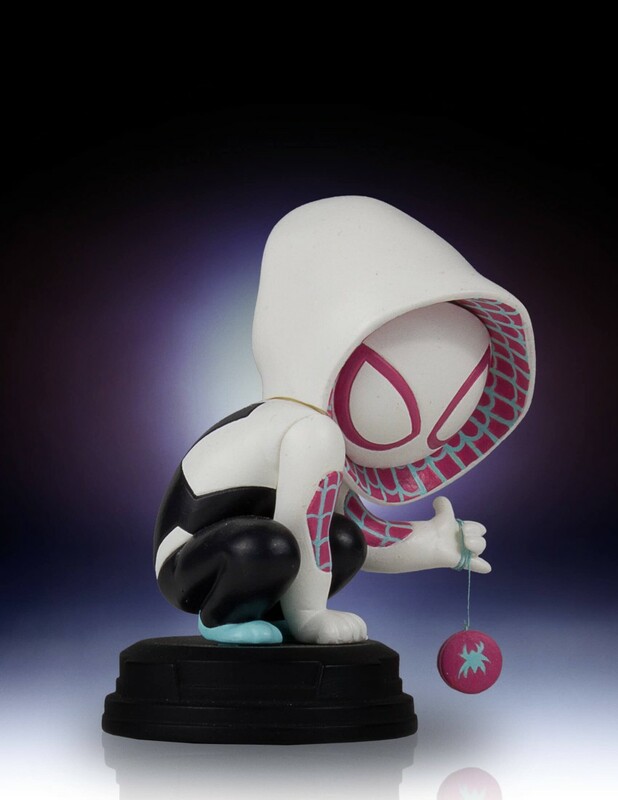 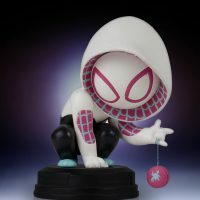 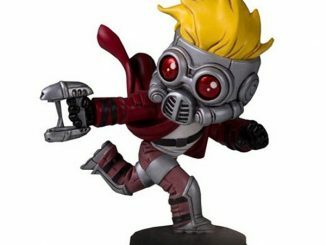 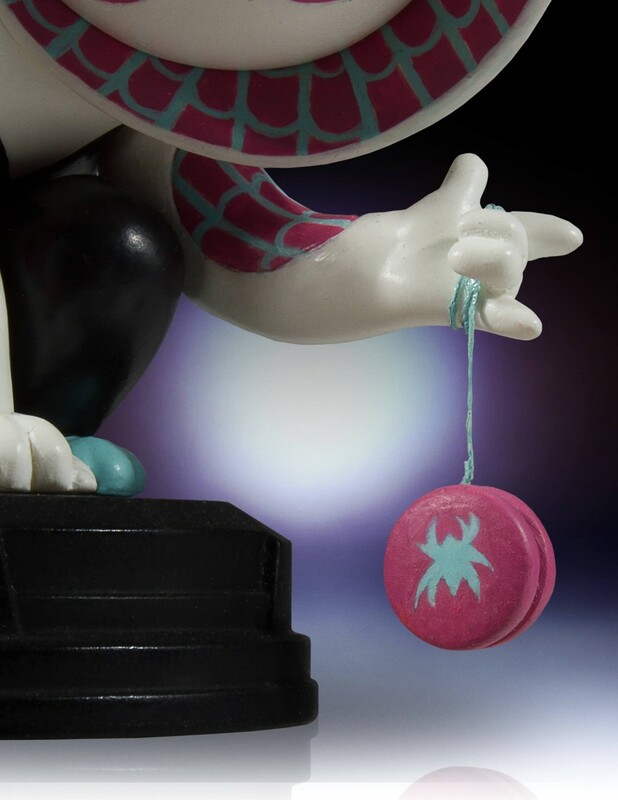 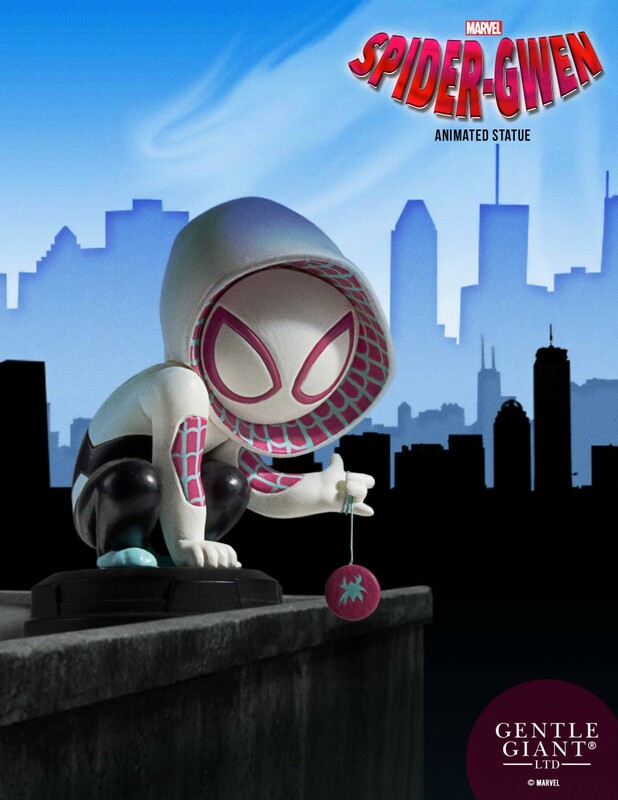 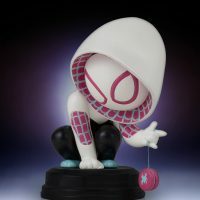 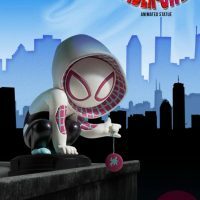 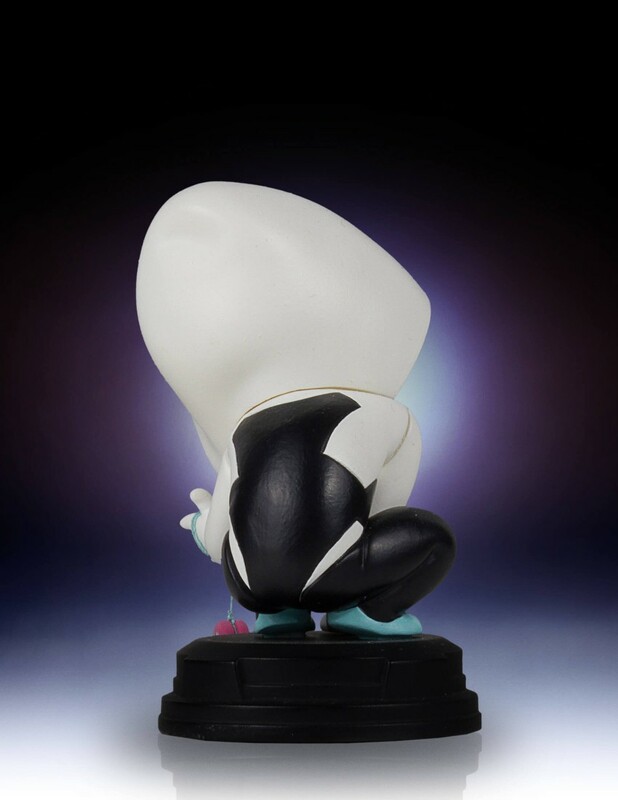 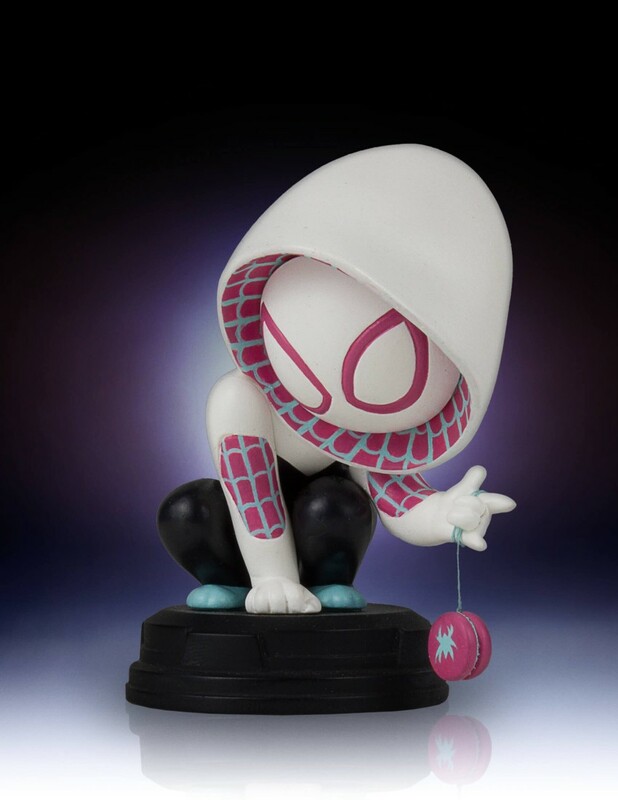 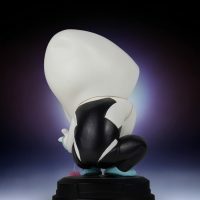 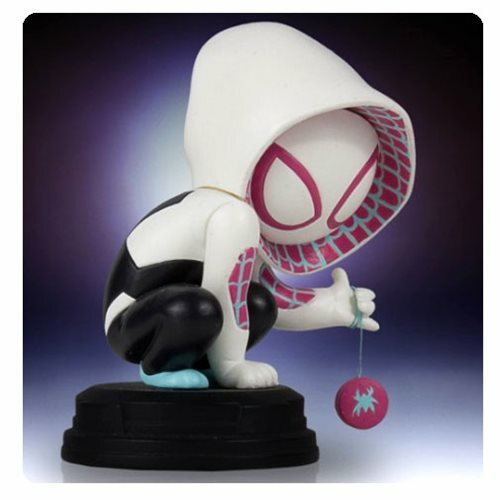 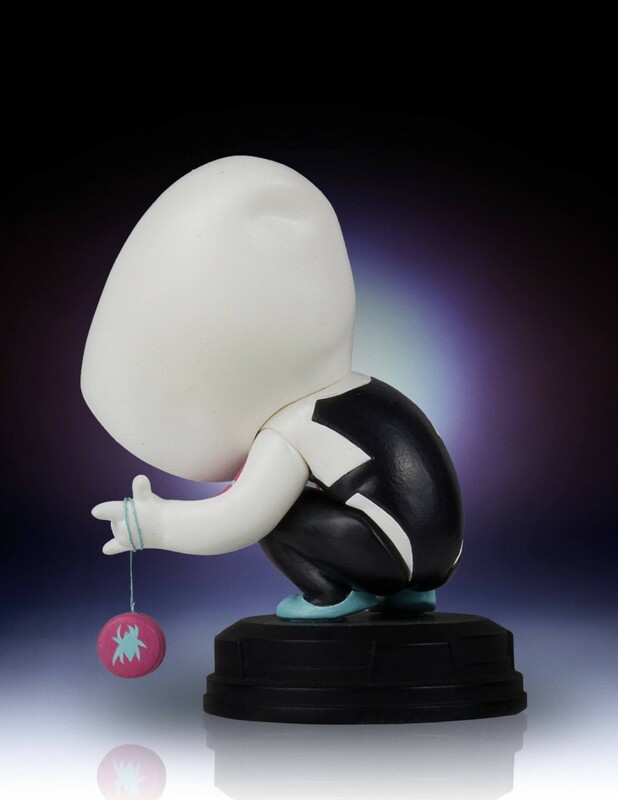 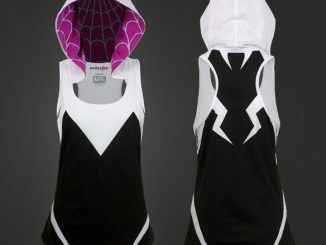 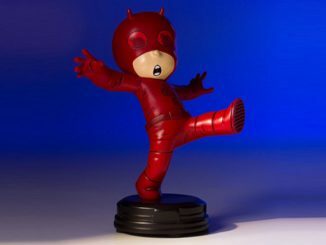 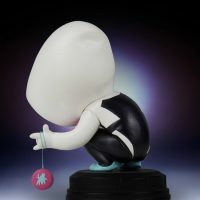 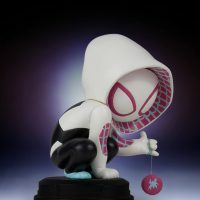 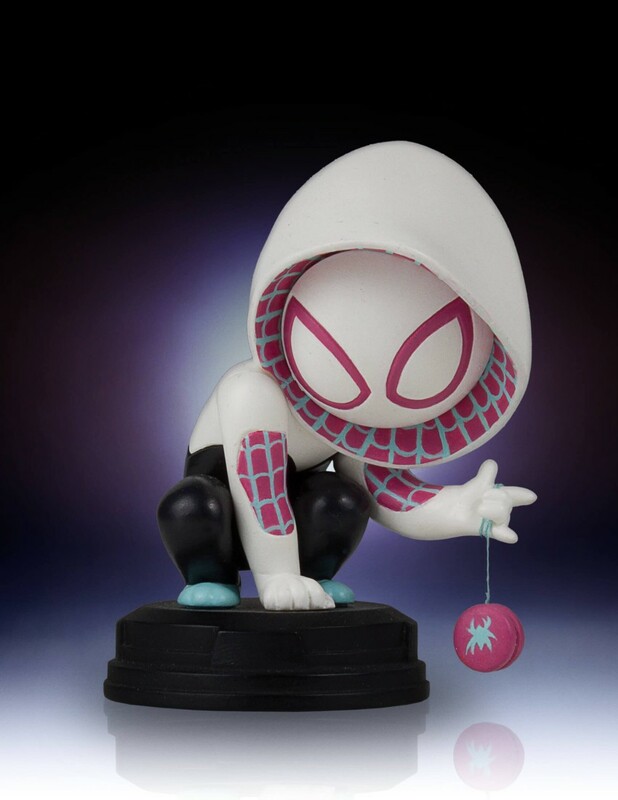 Based on artist Skottie Young’s variant baby cover for Spider-Gwen #1, the statue measures 3 1/2-inches tall and is limited to just 3000 pieces. 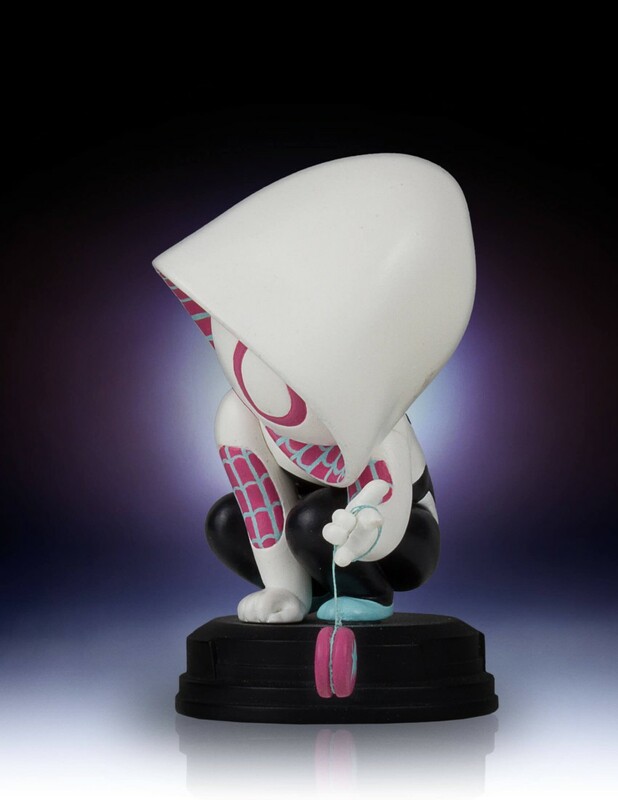 The Spider-Man Animated Spider-Gwen Statue will be available February 2017 but it can be pre-ordered now for $69.99 at Entertainment Earth.